Did I Find The Perfect Yeast? Welcome to The HSD today. I hope you are enjoying what you read as much as I enjoy reading and typing up what I learn. I do my best to walk all around a topic, but sometimes I miss something. Sometimes I get it wrong. Sometimes I learn new information after a post is written. Please comment below if you see something amiss so we can all learn. Thank you for your patience if you’re a regular reader; it is getting admittedly difficult to accomplish anything as our little baby grows, including blog posts. Today I want to summarize from the last post what I’d want in a perfect brewer’s yeast or nutritional yeast supplement. For me, the perfect brewer’s yeast and/or nutritional yeast supplement. . .
1. . . .would not have been grown on genetically modified (GMO) plant products. 2. . . .would not use a GMO yeast. 3. . . .would not contain cyanocobalamin (a type of vitamin B 12) or folic acid because they are synthetic forms not metabolized well by some people. The supplements would contain only natural folate and natural methylcobalamin (another type of vitamin B 12). If I wanted more folate and methylcobalamin than a supplemental yeast had intrinsically, I’d carefully hand-select supplements and/or foods to get them. Including a physiologic form of vitamin B 12 is very challenging for these supplemental yeast manufacturers, and the cyanocobalamin they add in is not more special than any other cyanocobalamin in a run-of-the-mill multi-vitamin. Make sense? 4. . . .would be labeled with the term folate if it actually had folate in it. It would not use the term folic acid for what is actually folate–or folate for what is actually folic acid! It would be labeled with the specific form of vitamin B 12, cyanocobalamin or methylcobalamin, if it had vitamin B 12 at all. 5. . . .would be stored in an opaque container to protect the vitamins from deterioration from light exposure. 6. . . .would be certified gluten-free (GF)–unless I knew I had NO gluten issues at all, then a true brewer’s yeast might not be all that bad. 7. . . .would not contain free glutamates or would have as low a content as possible. (I will use glutamate interchangeably with glutamic acid.) Explanation as I understand it today regarding this issue: Glutamic acid is an amino acid, and when it is “free,” it is no longer a part of a protein structure. It is believed that the “free” form of glutamic acid can be problematic for some people. I could not find the “free” glutamic acid content of supplemental yeasts. I could find 5% as glutamic acid total (not free). (1) If you ate the supplemental yeast (which you shouldn’t do) before it was killed by heating/drying, there shouldn’t be much, if any, free glutamic acid. (Apparently, tomatoes have high glutamic acid, but it’s not free.) However, when you dry the yeast with high temperatures and then grind it up, you will have some free glutamic acid formed. I really don’t think there’s much to be done about this because the yeast is usually pasteurized (It’s not raw.). In addition, when the yeast is dying, it will make its own enzymes to autolyse (break itself down), allowing production of free glutamates. Fermentation can increase the free glutamate too. Free glutamate gives UMAMI, and our taste buds want it. Mmm. I read that human breast milk contains 19 milligrams of free glutamic acid per 100 grams — cow’s milk has 1 milligram. (2) So mostly, I guess whether glutamates are an issue comes down to person sensitivity and not overdoing it! 8. . . .would taste pleasant. 9. . . .would contain chromium and selenium, among other minerals. 10. . . .would have no added ingredients, such as rice flour. So, did I find a yeast to meet my criteria? Heck no. Did I go down trying? You betcha’. Here is how some of the brands that pop up when you Google “buy nutritional yeast” shake down. Always check current labels because they are ever-changing. I will type up what I found, but when you read this–it may already be out of date. So if you need one of these criteria to be true, please do not rely on my blog post for accurate information. Do your own checking. This is just to give an idea of what’s out there and what I found. One thing I learned about is that some of the supplemental yeasts available are made by the same people but then labeled by a brand. For example, Red Star can be distributed under another name. Frontier (and here and here): Not GF verified. Not GMO verified or labeled as “organic” (which would imply GMO-free status). This one is really challenging to figure out because different sites state different things. One site has “added B vitamins” but still lists “folate” on the label where another site shows the label with “folic acid.” Oh dear. I think it’d have to be classified as fortified. Looks opaque on the front. No listed selenium/chromium. It is pasteurized. 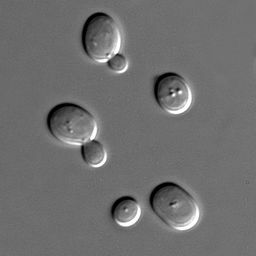 Twinlab Brewer’s Yeast: This is actual “brewer’s yeast” from brewing and not GF verified. It lists having vitamin B 12 but has no mention of fortification. It is not labeled as GMO free. It appears non-fortified. It is in a glass bottle. It has no listed selenium but it does have chromium. Solgar’s Brewer’s Yeast: Contains wheat it says, so not GF. GMO status not specified but grown on beet molasses. Not fortified but does state it contains B 12. Opaque container. No selenium or chromium listed. Nutritional yeast and brewer’s yeast as supplements have great potential. They have a beautiful array of vitamins and minerals, as well as some unique features that come from being a yeast organism (which I’ll talk about soon–soon is a relative term). However, people with gluten issues, yeast cross-reaction issues, glutamate sensitivity issues, and synthetic vitamin issues need to have caution, as well as those who have principles which shun GMOs. I wouldn’t say they’re absolutely out, but I’d say a user, after clearing with their doctor that it’s okay to take, should proceed with awareness and attention. Be educated. I wish the supplement industry and labeling laws were more transparent. It is so tough! This entry was posted in Nutritional Intervention and tagged brewer's yeast, glutamate in brewer's yeast or nutritional yeast, is nutritional yeast raw, nutritional yeast, supplements, what to look for in a brewer's yeast or nutritional yeast on February 24, 2015 by thehomeschoolingdoctor. Hi! I couldn’t find anything that specifically explained how they made/sourced the brewer’s yeast. The dose is much lower than the dose found on brewer’s yeast I have purchased, so not as much B vitamin in the dose–nor are there as many B vitamins listed. So compared vitamin and mineral-wise, someone taking the full dose of another brewer’s yeast would be getting more B vitamins and minerals than the full dose of this one. Are the benefits of brewer’s yeast dose related? Are they mostly from the vitamins and minerals or some other facet? Good digging for the future. But bottom line, the production of this sounds lovely but I can’t find the details. And the dose is smaller than others so less vitamin and minerals. But perhaps if brewer’s yeast offers something beyond its vitamin and mineral impact, then the dose would be offering whatever that is. Interesting product. I wish we could see a more in-depth analysis of content (in terms of sourcing and also all the vitamins and minerals contained—is that it that’s on the label?). Also interested in how they determined dose. Thanks for sharing the product. I’m on my phone replying so pardon me if there’s lack of clarity or typos. Laptop is better for replying!! How bout 100% natural non fortified nutritional yeast flakes by SARI foods? Hi, Dina, thanks for commenting. I checked it out quickly. It’s different than many I’ve checked out because it is made from molasses sourced in the US rather than sugar beets. It doesn’t clarify on the bag if it’s organic or not, but someone asked in the questions on Amazon and they said it was. I didn’t see that it had any chromium (some diabetics like to choose brewer’s yeast with chromium), but it does have good amounts of many other vitamins and minerals (zinc, selenium, B vitamins) which are not supplemented. No vitamin B12 which vegans may want. My main questions would be is it high-heat processed and is the molasses organic, I guess. Thanks for pointing it out. The brand looks interesting; they have lots of other “power” foods too!